This tornado red convertible has an automatic transmission and is powered by a 174HP 2.0L 4 Cylinder Engine. 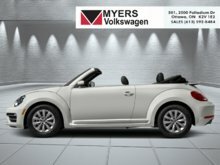 Our Beetle Convertible's trim level is Trendline. 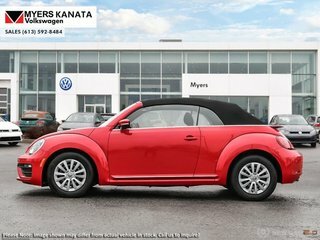 Unique and distinct, this 2018 VW Beetle Convertible Trendline has much more on offer. 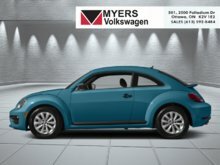 Standard features and options include power full convertible roof, power door and trunk locks, 8 speaker stereo with a 5 inch display, Bluetooth, heated front seats, remote keyless entry, air conditioning, a back up camera and much more. 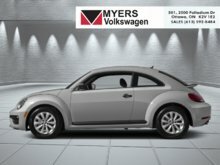 This vehicle has been upgraded with the following features: Heated Seats, Bluetooth, Rear View Camera, Air Conditioning, Remote Keyless Entry. 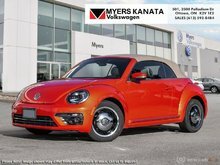 Interested in the 2018 Volkswagen Beetle Convertible Trendline ?